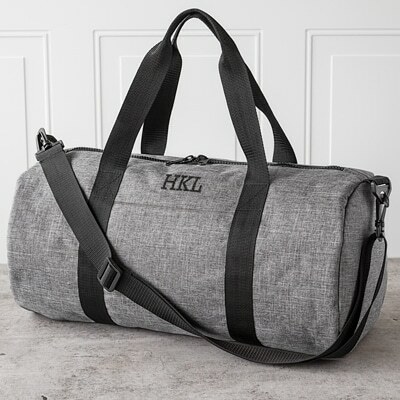 Travel with comfort and ease with our personalized grey duffel bag for groomsmen. 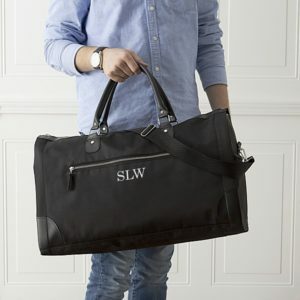 It’s a unique and practical gift that your favorite guy will also love on his birthday or Father’s Day. Free Personalization: We’ll embroider with up to three initials for no extra cost! 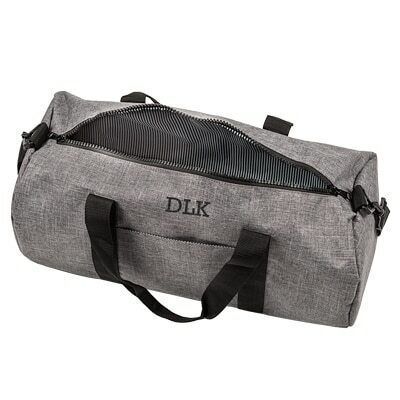 Our dapper Personalized Grey Duffle Bag for Groomsmen is the perfect start to a DIY wedding party bag. 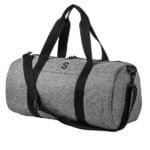 It offers everything he’ll need to satisfy his traveling needs. Made from a sturdy polyester and featuring a handsome striped lining, this bag also boasts a large main compartment, an additional front pocket, and an adjustable shoulder strap. 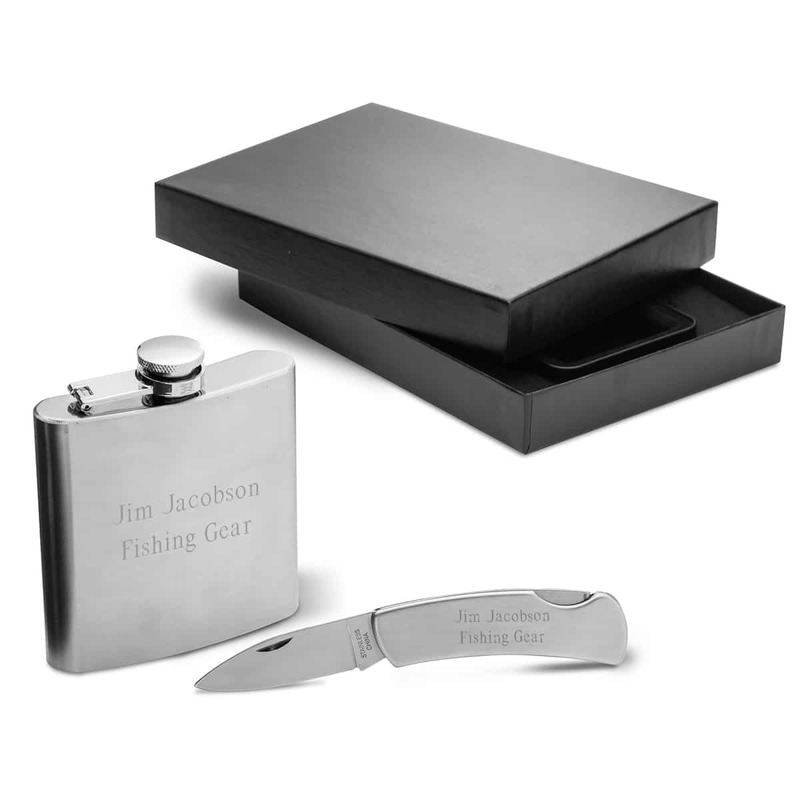 Grab one for each of the guys in your wedding party, and gift them with a piece that they will use for years to come! Don’t forget the free personalization: we will customize each bag with up to three block initials at no additional cost! 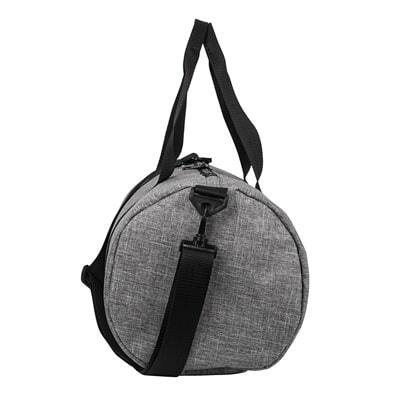 Convenient front pocket for keys, wallet, etc. Duffle bag: 19.25" L x 9" W x 8.75" H.
Front pocket: 6.25" L x 6.75" W.
Handle: 21" L x 1.5" W.
Adjustable shoulder strap: 49" L x 1.5" W.
What's the best way to clean this duffle bag? Gently brush spots with a light laundry detergent. Let the bag air dry. 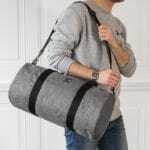 We do not recommend machine washing or drying.